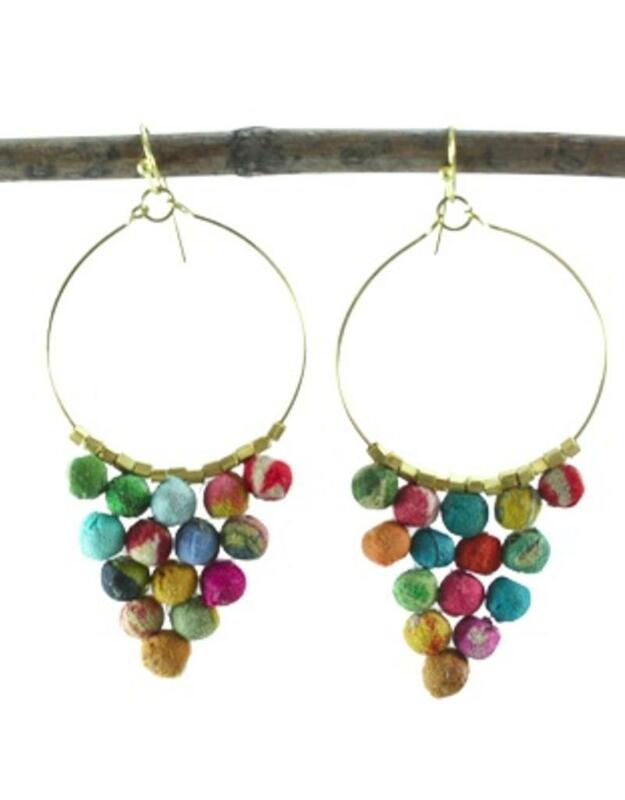 Made from repurposed kantha fabric, each pair of earrings is unique! 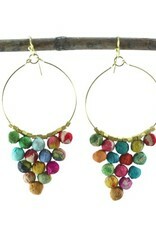 Gold tone hoops with a pyramid of kantha-covered beads below. 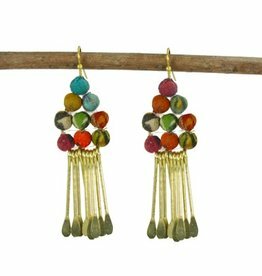 Due to their handmade nature, colors may vary! 3" in length with nickel and lead-free wires.